Some of you have sent me messages asking about how my DS2 is doing. He is doing really great! Today we spent the afternoon at MUSC to get the results of his recent sleep study and extended EEG montage. This comes after a visit and EEG in April that didn’t bring the news we had hoped for. 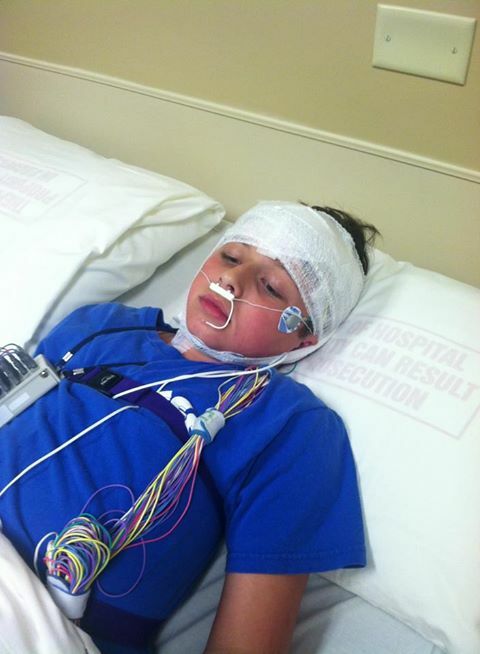 Unfortunately, his April EEG still showed abnormal activity and the risk of seizures has kept us on the diet. After his initial disappointment he has managed to have a pretty good attitude about the limitations it continues to place on his life. He does so much better than I would. He has will power of steel! Fortunately, today the results did not show any abnormal sleep patterns and NO sign of seizure activity during sleep. WhooHOOO! It was such huge relief to find out there are no additional issues; and at this point we don’t have to add medications on top of the diet. DS2 just finished 5th grade with wonderful grades and a Presidential fitness award. He also recently played the part of Sebastian in a local Children’s Theatre Production of A Little Mermaid. He is busy this week at a musical theatre day camp and will be spending his summer learning to sail once we get moved. We are blessed and I am so proud of this little man and how hard he works to not allow his medical issues to hold him back. Oh that's awesome news!! Congratulations! What kind of diet restrictions is he on besides no caffeine? He is a handsome young man!! So glad he is doing better. Good luck on your move. That is wonderful news about DS2. Kids are so much better at knowing what they need to do than adults. His attitude shows it! I'm so glad things seem to be on the up for y'all!